Are they easy to integrate? After putting the work into the implementation of your quality management system, you’re looking for more ways to improve your business. With environmental excellence a current focus of so many organizations, gaining a certification to ISO 14001 seems like a great second credential to add to your collection. The addition of the second standard (ISO 14001) requires special planning to address your company’s environmental impacts and the way you handle those processes and systems within your business. Meeting the standards of ISO ensures you will meet the standards of your customer, communities, and other stakeholders, and can open you up to work with government agencies who may have more stringent requirements. 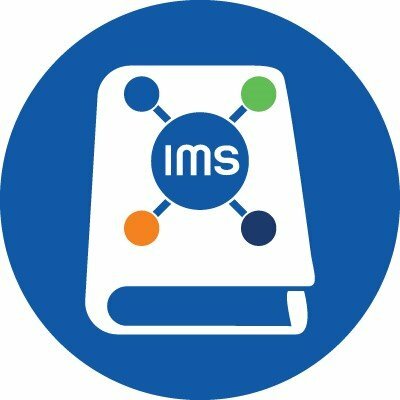 Integrated management systems (IMS) are useful for helping companies increase their focus and reduce the risks to their businesses. They require care to be taken to specify the difference between each system type (in this instance, a Quality Management System [QMS] and an Environmental Management [EMS]). Companies will be required to draft policy statements and objectives, have definable organizational charts and job descriptions, provide resources to their teams, manage and control documentation, and appoint management representatives and coordinators, all specific to each separate management system. Fortunately, the ISO management platform is built for easy integration. With its high-level structure, you can use what you have already created, adjust your focus toward your environmental footprint, and implement a few new processes and procedures to find yourself on the familiar-feeling path to a second ISO certification. Additionally, by following the same path, your team will already understand the function of the development process and their role in the maintenance and ultimate success of the program. Many processes you will need to follow to achieve ISO 14001 certification will already be in place as part of your QMS. 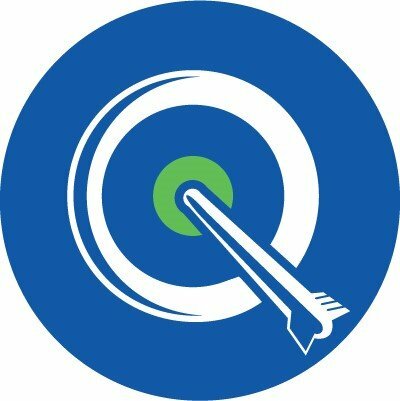 You will have to create and communicate your policies and objectives, provide training to your team, define your process for documentation and record keeping, follow root cause analysis and corrective action processes to correct non-conformities, perform internal audit, and maintain a steady pattern with management review meetings. In order to comply with 14001, you must examine these pieces of your system and refocus them so that they address your goals and objectives related to your environmental footprint. For example, you will need to specifically define the trainings you will provide to your team to educate them about your new policies and procedures, but the method and documentation of training will remain the same. Though you will use your existing system to guide the bulk of your work, ISO 14001 also requires that you add new processes as you build your environmental management system. Core recommends starting with four basic elements. Review your existing QMS policy and use it as a template to create your environmental policy. Be sure to address all the objectives and procedures that will be required to properly implement and maintain your new EMS. Identify within your organization what legal requirements and governmental regulations apply to your business. 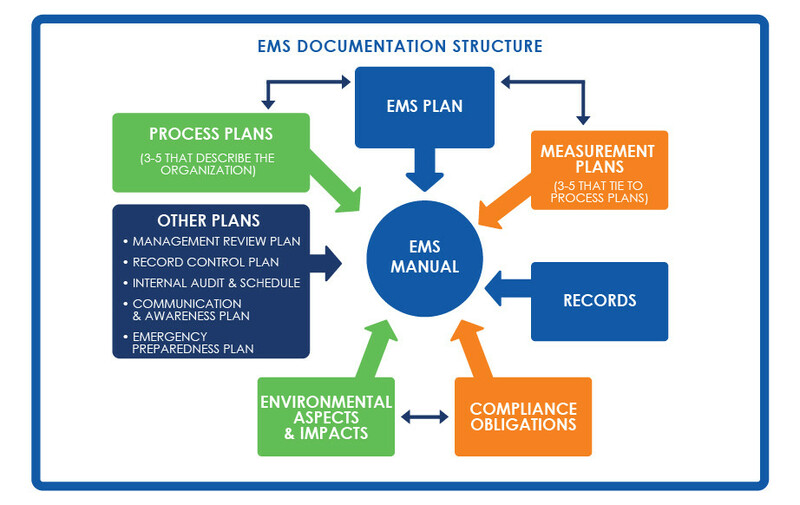 Record how you will use your EMS to comply with the policies applicable to you, how you will maintain compliance as rules and regulations change, and understand how the growth of your company could impact the guidelines you follow. Understanding these factors is crucial to identifying the environmental aspects of your company. Environmental aspects refer to all the ways in which your company interacts with your surrounding environment. An important step in the process of aspect identification is determining the severity of each aspect. This will help define which are significant enough to be included in your system. You are not required to address every aspect that you discover – only those that will make a significant impact or are highly regarded as important by your stakeholders. After you have identified the significant environmental aspects your system will address, you will work to create the criteria and controls need to minimize their impact on the environment. This is perhaps the most direct impact of your EMS – the minimization of your company’s processes and outputs on the environment. Taken from your QMS, you will redefine objectives, relating them to your EMS and its goals. You will then need to develop targets and programs related to those objectives. The creation of new programs within your business will help you set the targets that will allow you to meet and maintain compliance with your objectives. Many companies who pursue compliance to ISO 9001 go on to implement other standards for the betterment of their organization. ISO 14001 easily integrates into the familiar ISO structure, allowing you to utilize existing processes to improve your environmental impact and achieve certification. For a quote or more information as to how to implement to add on ISO 14001 with ISO 9001, contact info@thecoresolution.com.